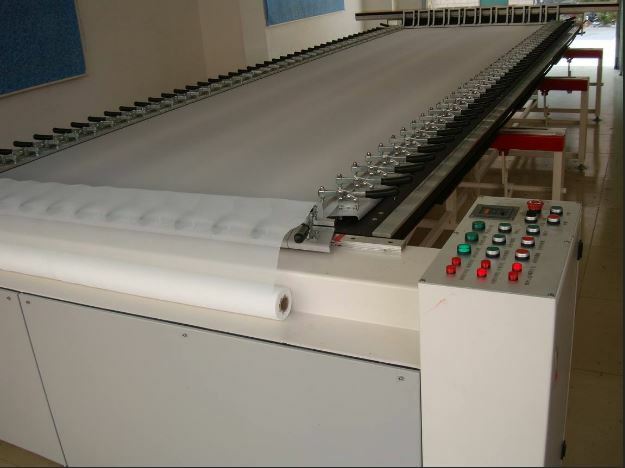 The PCB screen printing stencil manufacturing process can be roughly divided into two aspects: pulling net and net drying. There are a lot of small operations in these two aspects. Let's take a look at it. 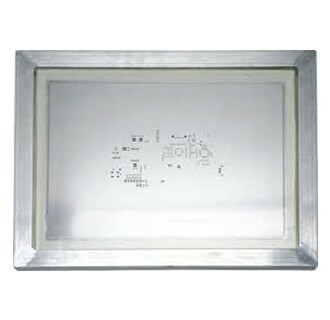 Due to repeated use of the frame, there are residual glue, mesh and other debris around the frame, which must be removed. So as not to affect the adhesion between the mesh and the frame. Place the frame on the platform (requires level) to check whether the frame is deformed. If there is deformation, it needs to be leveled. Will be cleaned, undeformed frame and mesh and then evenly coated with a layer of Nanbao right fat (no need to add hardener) to enhance the adhesion of the mesh and frame after pulling the net. After about 10 minutes of the first application, place the frame on the netting table and adjust the relative position and height. Select the mesh, loosen the surrounding mouth, and spread the mesh on the frame. Then evenly sandwich the mesh into the mouth of the clip, no wrinkles. Note that there are more loose mesh yarns in the four corners. The nozzle must be locked, there must be no gap between the clip and the clip. Pull the net: the first tension 26, the static tension for 5 minutes is 24; The second tension 28, standing for 5 minutes of tension 26; The third tension 32, the static tension for 5 minutes is 30; Correct the 5-point tension 32 for the fourth time, and let the glue tension 30 after standing for 20 minutes; 15 minutes of gel curing under the net tension 28. After standing for 72 hours, you can make a screen (using the screen version of a one-meter-one-meter automatic production line). Brush the adjusted glue evenly with a small brush on the frame and mesh. Do not drop glue into the middle of the screen. After the glue is dried for 8 minutes, it can be pressed tightly with the scraper glue on the rubberized surface where it is not completely bonded. After about 10 minutes, the glue is completely dry before it can be placed on the net (Should be enhanced with an open blower). Remove excess mesh around the screen and indicate the date, mesh and net tension on the screen border. In order to prevent the penetration of white water, the inner corner of the frame is sealed with red glue. Then seal it on the bottom surface of the frame and the mesh with waterproof tape to prevent the penetration of the syrup. Wash the net: use the lapping network frost to remove oil (new net), improve dodge to the figure (old net), wipe off the stuff to the net, blue oil, bathe the fragment with clean water. Rinse the net with cleanser, in the end flush it with a high-pressure hydraulic giant, and then clean it with purified water. Baking net - oven setting temperature should be less than 48 degrees C.
Sticking film: Wash the net and wash it with pure water. According to the project film graphics, increase the water film by about 20%, press the water film with a triangle ruler at the end of the line. Then use the triangle ruler to slowly flatten it up, then use a spatula to gently flatten it, wipe the excess water with a towel. Use the net pulp: dry the stencil and then sizing, use the scraper box, and put the net pulp box on the net. Among them, the green oil is three times, (about once every 10 minutes or more), and the surface oil is twice. Blue gum first peeled off the film on 50K water film, then 20 times the net pulp, shaved three times each time. Dry after sizing is completed. The selection of mesh yarns is 120T, 100T, 110T mesh for general line, green oil, base oil and surface oil. Carbon oil 51T, blue glue 24T photosensitive line and heat curing green oil with 77T. 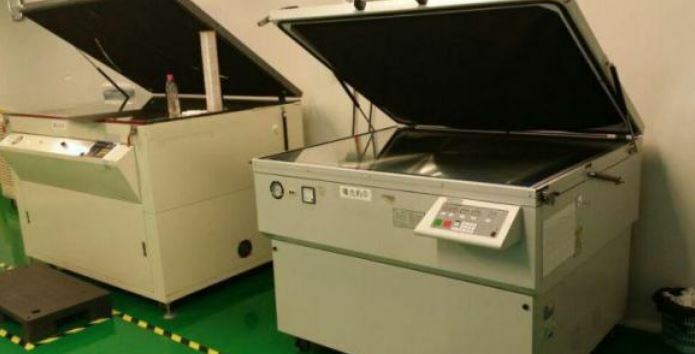 Film selection line uses 18K water film. No netting due to the use of netting for internet access due to unevenness: dog teeth, fat oil, waves. Green oil, base oil, and surface oil are selected from net pulp, and carbon oil is selected from 50K water film. Use the required engineering graphic film to stick to the position selected by the stencil, place it on the blasting machine and explode it. The choice of time (3000W spotlight), the line is generally 60-80 seconds, the green oil is 80-100 seconds, the bottom character oil is 40-60 seconds, the carbon oil, the blue glue is 350-400 seconds. Pressurized water is washed and dried. Seal the outer edge of the film with blue oil (sealing mortar) and dry it. Check, repair, write the date of completion and the corresponding number and record and store. Of course, this is just a general procedure. If the actual operation is strictly in accordance with this method, it is extremely unwise. We should learn and use it in order to make progress and make better products.